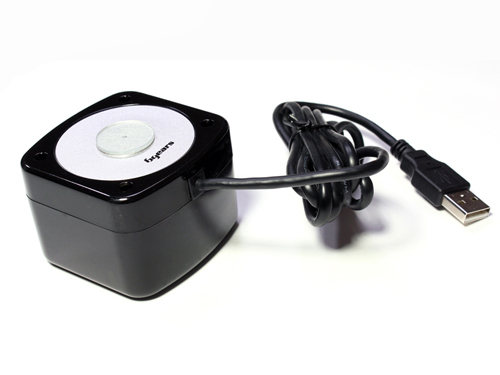 Send sound pulsing through anywhere you place this powerful little speaker. You'll be shocked by how the sound is amplified by the vibration generated by the unit. Compact design replaced the traditional huge speakers with messy wiring. Power and Play music through one USB connetion. Utilize the whole table surface as a virtual surround sound speaker. Compatible with all Operating System: Windows or Apple. Low Power Consumption and RoHS compliant.